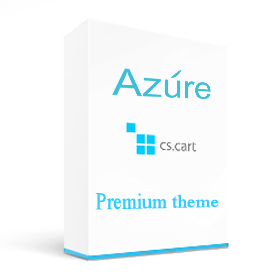 If you make up your mind to start your online business and create a shop with beautiful and laconic design – our Azure theme will be great solution for you. It suits stores selling any products like watches, clothes, toys, sports equipment, perfume, household appliances, electronics, gifts or anything else, because of flexible settings of colors and elements. Moreover, Azure theme is full responsive and looks great at any device, so your store will stand out from the competitors. 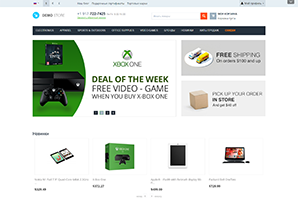 The theme is compatible with CS-Cart and Multi-Vendor 4.4.x - 4.7.3 versions. I think it is very standard theme . We installed it for our new project . Now it is loading nicely . Beautiful and light theme, pleasant colors.